Woven-in-bars with eyebolts top and bottom. 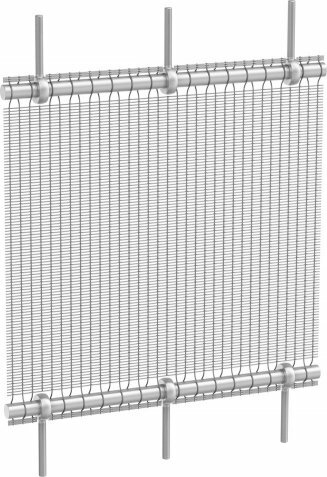 A round bar is woven into the metal fabric in place of weft wires. Eyebolts are attached to the round bar and are secured to brackets top and bottom, and are tensioned by turnbuckles or nuts. 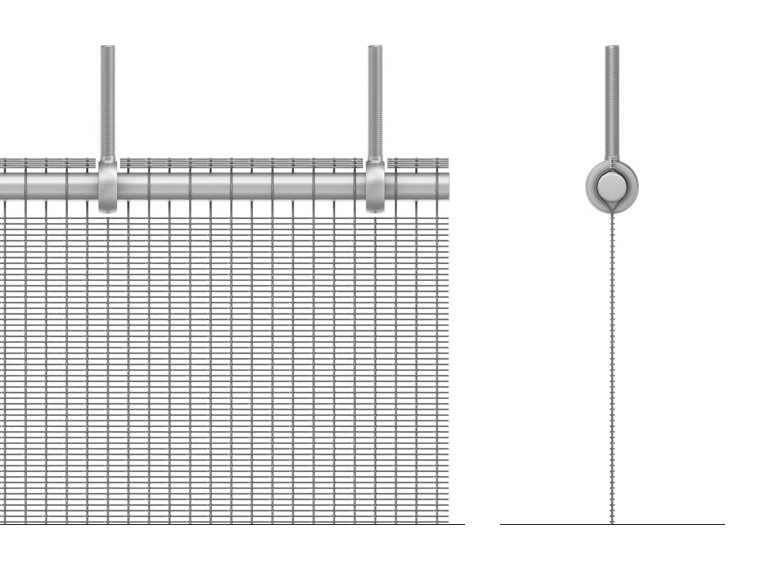 The size of the round bar and frequency of the eyebolts is determined by tension loads. Intermediate pivoting brackets are spaced vertically and horizontally as needed and also connect to woven-in-bars in the mesh.